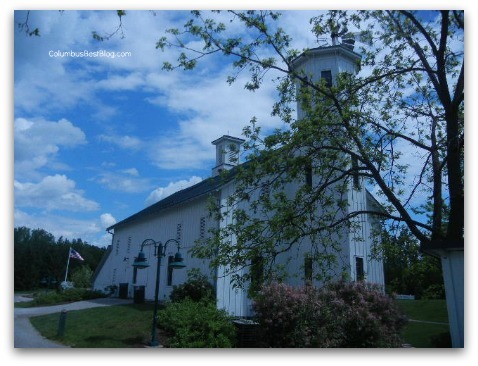 The Everal Barn is a “bank barn” built into the bank there is an exposed lower level on the back. 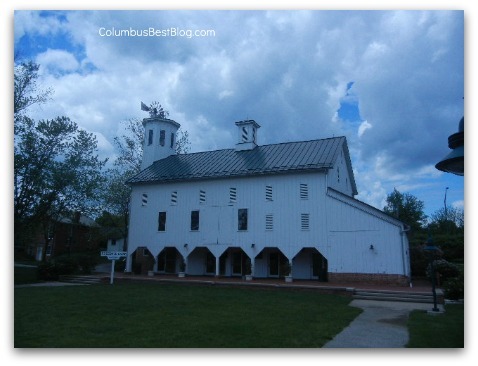 Everal Barn and Homestead in Westerville is some pretty impressive preservation. The Everal Barn and Homestead is pretty unhidden. 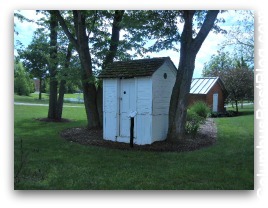 The preserved farm is in Heritage Park right at the corner of Main Street and Cleveland Avenue in Westerville. The farmhouse, the barn and a number of “outbuildings” are preserved. There is a “milk house” a “smoke house” a “carriage house” and even the “out house.” A plaque says the “out house” was in use until the 1950s?? The farm was named Rosedale for the families rose gardens.